The Primals of Final Fantasy XIV are kind of a big deal. In the original game, players had a chance to fight two of them, both of whom made for a rough fight, but the relaunch will include wandering versions of these pseudo-deities for players to hunt down and harness. And while astute fans have known for some time that Shiva will be among the Primals in the new version, she’s finally strutting her stuff in the latest development blog post. 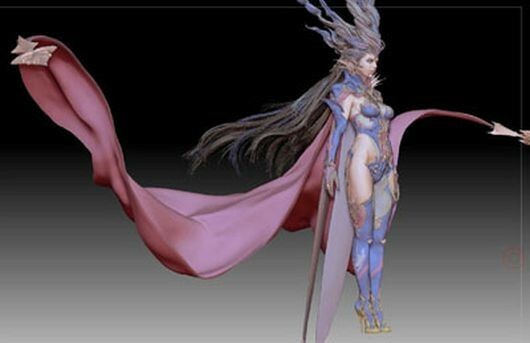 The post contains several early renders of the completed model as well as the ice queen’s concept art, all of which should look familiar to veterans of the Final Fantasy series. While Shiva is known to have worshippers much like her fellow Primals Ifrit and Garuda, it’s not yet clear if her appearance means a new beastman tribe will be entering the already crowded Eorzea. The full set of pictures won’t answer that question, but it will give players eagerly awaiting the beta something new to gawk at.